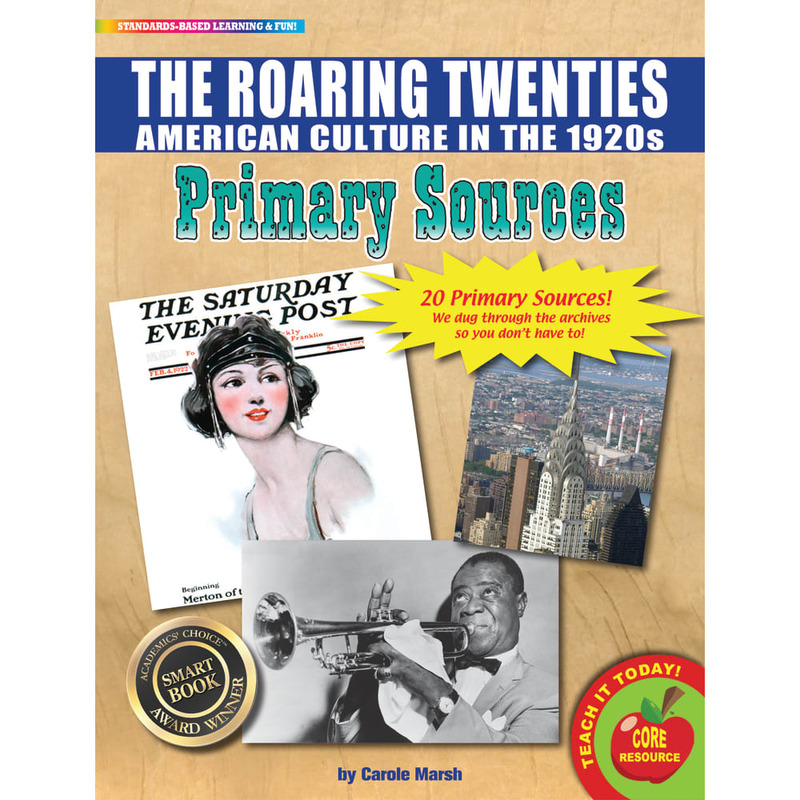 The Roaring Twenties (American Culture in the 1920s) Primary Sources is a pack of 20 primary sources. Each primary source pack includes historical documents, maps, photographs, political cartoons, lithographs, diagrams, letters in a mix of color and black-and-white, and sepia finishes and is printed on sturdy 8.5" X 11" cardstock. The Roaring Twenties (American Culture in the 1920s) Primary Sources are just what teachers need to help students learn how to analyze primary sources in order to meet Common Core State Standards!